This will be the thread for the Refix project as suggested by Helldhaz. Please post/discuss any suggestions and I'll get them added. * Dark Mages at end of Chapter 1 and the quarry which had unequipped shield rings now have them equipped. * Balbazak and Elliot should both move properly instead of staying in place. * The Evil Puppet in the Balbazak battle is replaced with a Dark Priest. * The enemies in the first battle of Chapter 6 all have their items properly equipped now. * "Cain" has been changed to "Kane". * The Demon Masters in the Chaos battle are equipped with Holy Staves, and the one with Muddle 3 is changed to Freeze 3. * The Demon Masters in the final battle of Chapter 7 have their EXP bumped up a bit. * Hanzou learns Desoul level 2 not level 1 again. * Fixed two line wrap issues in Pao text. * Fixed spelling of Hanzou's name when joining. * Color of Luke's promoted sprite changed. So aside from the corrections made above what other changes are you planning on implementing into this version of the game? Inserting Japanese Script, Adding unpromoted states for characters without any, etc? 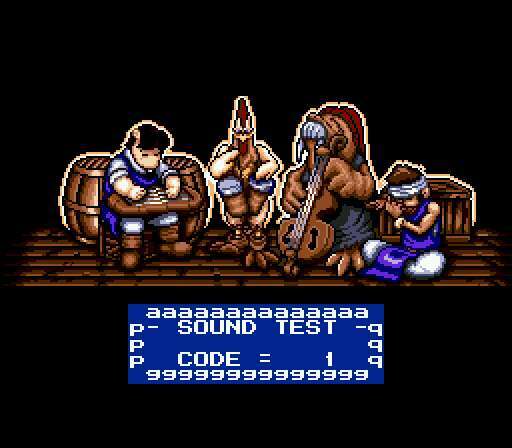 On a side note, is the overall goal of this something similar to the Shining Force 2 - Milestone Edition? No, the idea is just to fix errors and bugs, not add anything new. I just plan to fix things as I find them. Just uploaded a new version with a small fix. The priest will now give the proper message when canceling reviving. Well regardless that is still an improvement so no complaints. Also I really like how you include a change log with your editor, depending on how many things get changed / update in this mod, you might want to include one, that way it's easy to see whats been modified. Don't worry, if it seems necessary I'll do that for this too, but right now I don't think it is, and given the nature of this one I doubt it will be getting all that many updates. I wouldn't mind seeing spelling mistakes in the conversations fixed, and some game messages, like the promotion part where it says "Max wishes to join the a MAGE class" or whatever. That "a" needs to go! None of that is critical, but it would be nice. Just in general I wish more "English" roms were actually in English, I get really tired of reading defence spelled with an "s". This is particularly true of "Resurrection of the Dark Dragon", where things like colour are right but defence in almost every instance is wrong. I mean spell-check is so easy and quick, there really is no excuse for that slapdash rubbish from games companies. Other than that put all the stuff you can't do and see from the Japanese version back in. As I understand it ...defence is just a "English" - ie - UK (and Canada) way of spelling Defense....which is the American form. Neither (from what I have read) is actually 'Wrong' - they are just two different ways to spell the word. No ? I believe the game was translated for US playing...so defense and color are fine. The alternative defence and colour are british english. edit: It's simply an argument of American English vs British English. That aside, there are still other grammatical issues in the game. You have not grasped it at all. Dark Dragon", which when you select your language prior to playing the game, displays a Union Jack, ie.e a flag of Great Britain. Thus I don't then expect to read American English having made my selection of English in the European release of the game. American English in the American release of a game is completely logical, no-one is arguing with that. In the European release of a game I take issue with it. I expect to read English in a game released in my country. And Conlius, defence and colour are not "alternate" spellings thank you. American English is a variant of English, not its precursor or replacement. Just to be absolutely clear my "argument" is with neither of you, it is with lazy game companies not bothering to use spell check when releasing their games in England, it would be neither time-consuming nor costly, so I find it pathetic and lazy. I get that...but this fix is not for RotDD. It's for LOGI...Which is understandably bad in translation. However, it does not claim it is trying to translate japanese into proper british english. Yes, it is a variant, but in the US, both colour and color are accepted spellings, color being the primary NOT secondary. I understand that the game had an "english translation" but it does not specify whether they would be using proper british english or american english. Fact is, whether the game (referring to LOGI - NOT RotDD where you actually choose the language prior to playing) should be in proper british english or american english is your opinion: I could get just as pissed at the developers for using the word colour instead of color as you could for the opposite. In RotDD I understand, because you are under the impression that it is going to be proper british english. However, this version (the original) does not claim anything. Sequel to Shining Force Gaiden:final conflict! 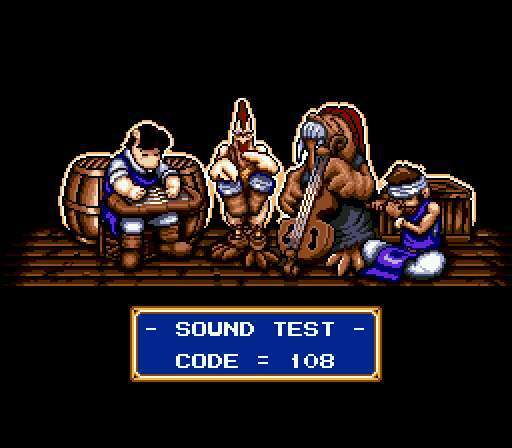 Another bug that was introduced in the US version of Shining Force but wasn't present in the Japanese version was that the dialog box border in the Sound Test is broken.... not sure why though. Is this something that can be easily fixed? Yes it is! Fixed and uploaded! I wonder how they managed that... the tile values for the borders were off by 32. I found a grammatical mistake in the ending sequence of the game. 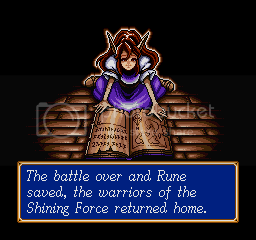 With the battle over and Rune saved, the warriors of the Shining Force returned home. It was probably to prevent it from overflowing into four lines. And actually, that's a commonly used form, I'm not sure I'd consider that a mistake. It's not grammatically incorrect. "With" would make it sound better I suppose, but I'm almost certain it works even without the word. I don't know, it just sounds weird to me. I haven't come across any other unusual verbiage but I'll post back here if I find anything. Well, while I'd like to fix the text issues as well, it brings up a couple of interesting questions. For one, since the text data is compressed, it will require expanding the rom. Also, maybe someone could verify, but I'm not sure the modified text routine from my editor is 100% bug free.